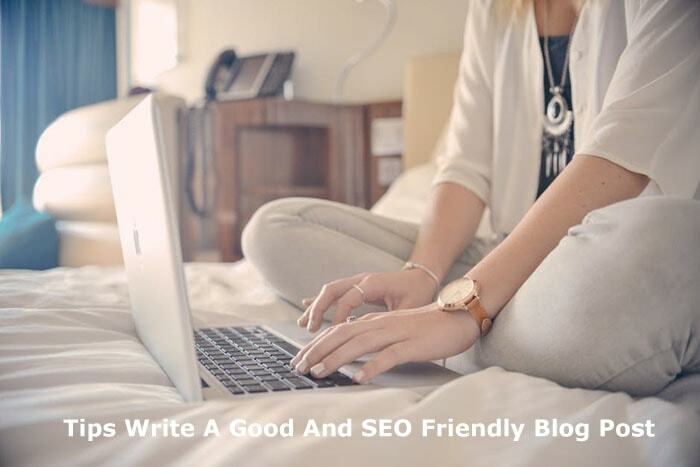 The good and SEO friendly blog post is an obligation in writing content. Many bloggers who are carelessly writing and ignores how to write website content correctly cause the blog is not growing. If your goal is business, every post you create must have a high business value so it can make money. Writing good and useful content should pay attention to the following matters. Creating a blog for Adsense will compete with millions of bloggers in the world. Good content without determining the right niche, hard to compete with Google search engine. Also, if your site successfully ranked first in Google, but the keyword you target doesn’t have a high CPC value, you also can’t generate passive income. Before you start how to write a good blog, you can read the following article to get maximum results. How to determine the niche blog. How to identify the keyword. Okay, when you have finished understanding some of the above tips, it’s time to learn how to create good blog content. Writing a blog article has rules that we must obey. So the results you will write will be useful and shared with others. Google loves SEO friendly blog post. Also, your post is good and not annoying to read. The title of the article determines the visitors to click to your website through search engines. Make a title that makes visitors curious. Do not make false news because it will kill your site slowly. For example: “How to create a website” and “How to make a website to make money.” Which of the two titles will you choose? The topics you discuss from start to finish should be consistent. Describe the key points on your targeted keywords into an interesting storyline. Do not combine many keywords into blog posts, this is the wrong method and considered as spam by Google. Using LSI keywords in blog posts is the best way to include keywords you want to target while increasing organic keyword and organic search to your blog. To avoid excessive targeting of keywords, use synonyms of words in keywords. Additionally, the reader does not become bored with your article because the keywords repeated continuously. Describe some questions that will arise from the keywords you create. Thus, readers have no trouble searching for things related to your keywords. For example, you create an article about “how to build website.” Summarize the questions about how to build a website. For example, if a layman is interested in your article, then most likely he will find information on “how to install WordPress“, “hosting information“, “WordPress theme selection” and so on. Describe briefly, if necessary create another article relevant to the question. Then link the internal link on your blog post. Make sure every heading and subheading contain the keywords you target. But it would be nice to use synonyms for those keywords. The use of synonyms in keywords makes your articles less stale and boring. If you have a long enough article, the chances of your target keyword appear more. Add words of encouragement or word of wisdom. Words of encouragement will make visitors memorable with the information you provide. Also, visitors will more often visit your blog to find other information. The word encouragement or word of wisdom can play a person’s emotions. For example, if you always praise someone then the person will lure you always to praise him.